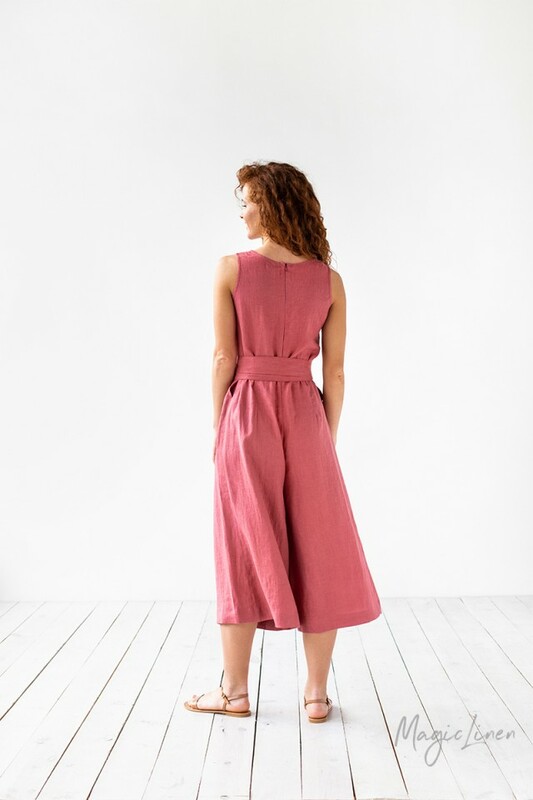 Linen jumpsuit available in all MagicLinen clothing colors. 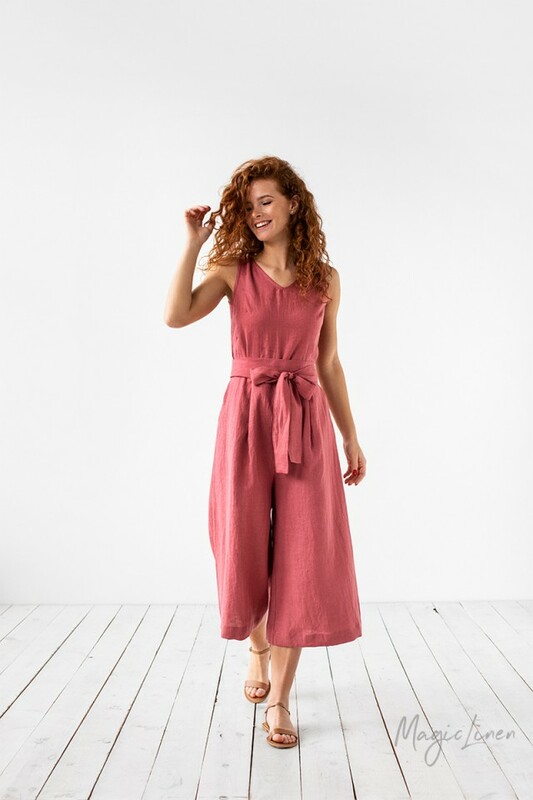 This sleeveless linen jumpsuit is designed with an elegant V-neck and wide pleated pant legs. Can be cinched at the waist or worn without a belt for a more loose fit. Two side pockets and concealed zipper in the back ensure maximum comfort.